TimeControl was designed to fulfill several of these timesheet roles simultaneously. At its core, TimeControl tracks time on a task-by-task project-by-project basis. Yet it is, fundamentally a financial timesheet system with all the controls necessary to fulfill the needs of payroll, human resources and finance. Our intention is that TimeControl eliminate the need for implementing multiple timesheets in the same organization. TimeControl's flexibility makes it the right choice for many different needs. We have identified below just some of the business challenges that you can adopt TimeControl to solve. Click on any of the solutions identified below to find specific materials that may be of interest to you. Also, remember, TimeControl is designed to fulfill multiple solutions at one time and configuring TimeControl for any of the timesheet requirements below still means you can simultaneously configure for any of the others. HMS Software's trademarked process for managing timesheets in a matrix environment is at the core of why TimeControl can support both project and organizational approvals within the same process. Most project management systems include some kind of timesheet system. They are often integrated with functionality to update the project schedule with progress information. 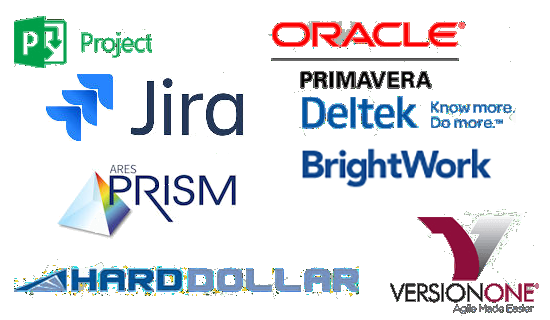 TimeControl is designed to link to numerous project systems including Microsoft Project, Project Server, Oracle-Primavera and, Deltek's Open Plan and Cobra. When HMS designed TimeControl Industrial to integrate Hard Dollar's HD PCM project estimating and cost control system we knew already that Hard Dollar and Primavera had a working integration themselves. Given that TimeControl also links to Primavera, we designed the HD PCM link so that it can work in collaboration with the Primavera P6 link. The result is remarkable. You can now integrate TimeControl Industrial (or TimeControl), Hard Dollar's HD PCM and Oracle-Primavera into one powerful project control environment where the best of each product is used to control an aspect of the project. Many organizations create their first timesheet in Excel but as the organization grows, the importance of a more robust timesheet grows too as the cost and effort of maintaining an in-house Excel-based timesheets becomes more and more challenging. In many project-oriented organization, billing is a critical component of the enterprise. The TimeControl timesheet system provides tremendous flexibility in a Time and Billing Scenario. In particular, TimeControl's ability to use unlimited codes and thousands of rate codes per employee allows TimeControl to be used both from a Contractor perspective to create billing data and from a Client perspective to validate bills being received. Payroll depends on knowing when people are working or not in order to create an accurate payroll. Also, many countries and jurisdictions have established stringent criteria for tracking and reporting of employee time. TimeControl's remarkable flexibility makes it an ideal Time and Attendance timesheet system. Overtime, flex-time, banked hours, time off definitions for an unlimited number of leave types are all handled easily with TimeControl. TimeControl was designed from the very start to support the needs of the HR department. This solutions area shows some of TimeControl's functionality that is HR specific as well as some of the benefits that come from using TimeControl in an HR context. Public Sector organizations have particular challenges when selecting and deploying a timesheet. TimeControl has been a popular choice with public sector organizations at the municipal, regional, state/provincial and federal levels since its first release and is in use in public sector in Canada, the US, Australia, the UK and Europe. Many organizations have financial obligations to track efforts spent on Research and Development. TimeControl's extensive coding structure allows R&D time to be tracked as a natural part of timesheet entry. R&D costs can be tracked distinctly from capitalized costs and from project costs and tracked down to the employee and task level. Reports can include R&D vs. non-R&D costs and any level of detail required. If your organization does work for the US Department of Defense, Department of Energy, Homeland Security or others, you may be asked to comply with timesheet requirements established by the Defense Contract Audit Agency (DCAA). TimeControl is often used in this type of environment because of its extensive flexibility and ability to be configured to match the stringent requirements of the DCAA.